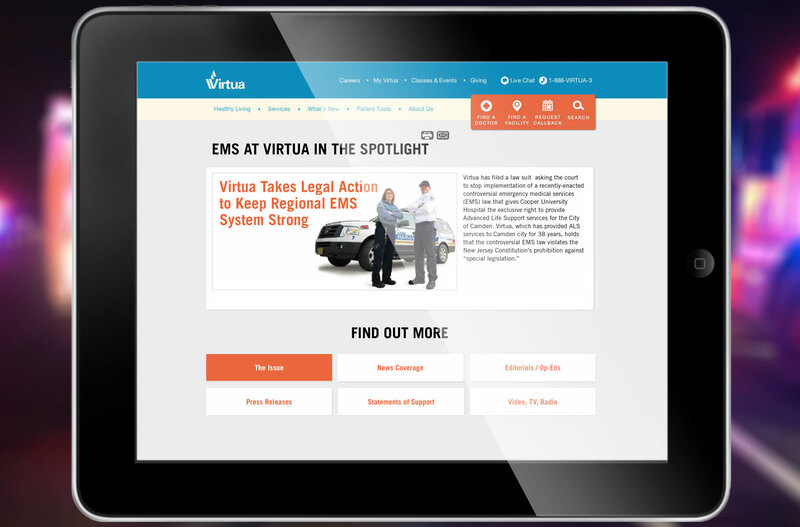 Virtua Health engaged CN Communications to create a high-profile issue campaign aimed at blocking legislation that would disrupt the hospital network’s EMS services. 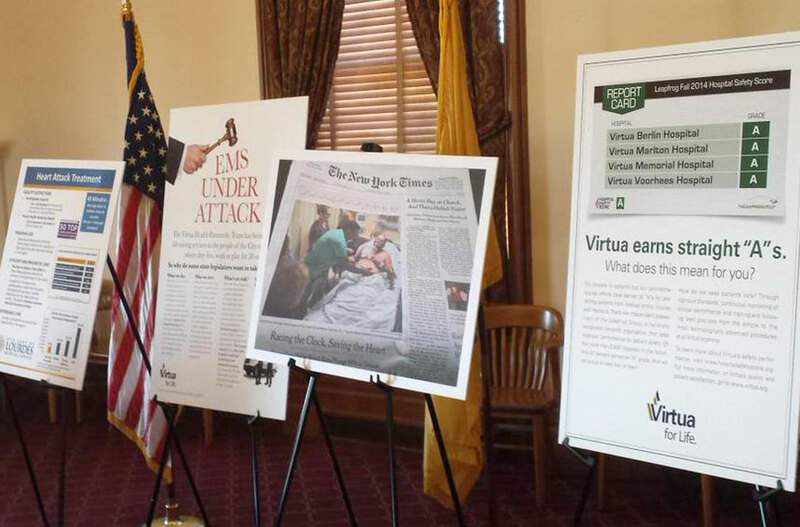 The multi-front campaign targeted area residents who might utilize the EMS service, as well as key legislators. 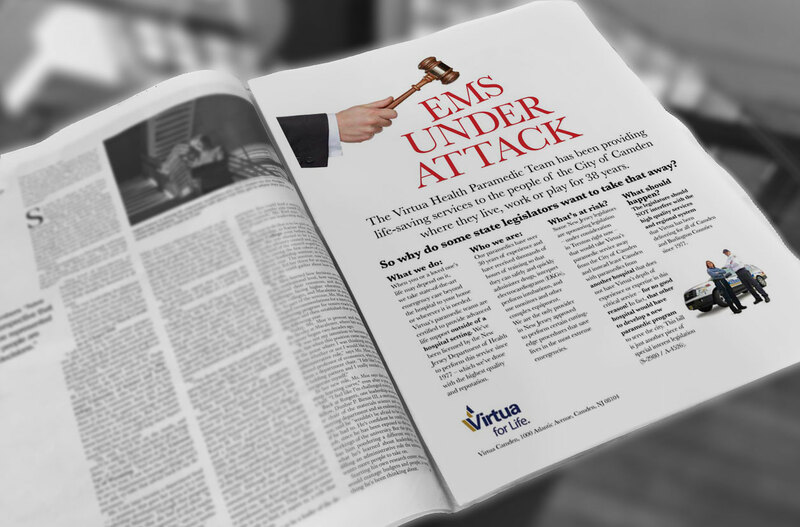 CN and CN Foundry developed online, print, and radio advertisements as well as a dedicated website that clearly explained the impact of the proposed legislation on EMS service. 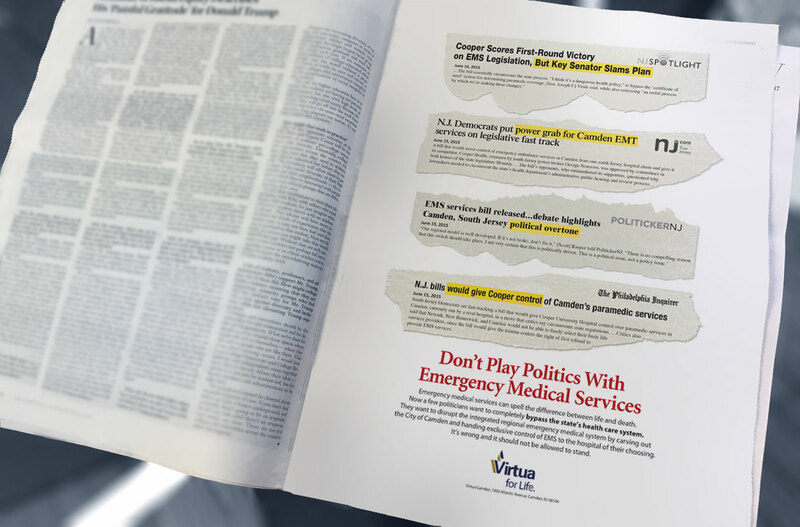 CN also leveraged the power of a highly credible, compelling and easy-to-understand message through intensive media outreach, resulting in more than 50 news articles and multiple editorial boards announcing support for the client’s position.